Pentecostal Christianity: retrogressive force or dynamic ally? Many secular human rights activists think of religion in general, and Pentecostal Christianity in particular, as part of the problem rather than part of the solution. While Jack Snyder and Larry Cox recently argued that the human rights movement needs religion, Nida Kirmani and Geraldyn Ezeakile voiced concern that religion often does more harm than good. New research, however, shows that a bias against religion in human rights is short sighted at best. In fact, Pentecostal Christianity is not monolithic; some sectors are changing in ways that could make it a significant ally in the protection of human rights. Pentecostal Christianity, which grew out of multiracial religious revivals in the early 20th century United States, represents one of the most dynamic religious forces in the contemporary world. It is growing particularly fast in many settings in which human rights are least honoured: in China, sub-Saharan Africa, Russia, South and Southeast Asia, and parts of Latin America. It is also spreading in the United States among immigrants, low income African-Americans, and Latinos in US cities and the rural South. A small Pentecostal church in Monrovia. Historically, however, many Pentecostals in the United States turned away from public issues such as human rights or became rigid social conservatives. As a result many secular human rights activists now view Pentecostalism as a retrogressive force. Yet there is no reason that need necessarily be so. The Catholic Church, at one time a critic of liberal human rights and democratic institutions, has become a primary advocate for both on a global level over the last fifty years. Pentecostal theology, with its emphasis on God’s presence within individuals, might well be capable of such a transformation. Pentecostalism’s multiracial roots (sometimes with female leadership) show how intense religious practice can overcome rigid social divisions of race, ethnicity, tribe, and gender. While Cox calls for a stronger alliance between human rights and faith-based activists, some sectors of Pentecostalism have already been doing this for two decades. In Central America, where Catholic and Protestant forms of liberation theology once influenced a generation of activists and guerrilla insurgencies, new forms of Pentecostalism are now emerging. Some preach a “liberationist Pentecostalism” to mega-churches, bringing together tens of thousands of members for worship linked via “cell group” structures reminiscent both of South Korean and Colombian mega-church strategies. Throughout Latin America, some Pentecostals are advancing a liberationist reading of the Gospels that argues for the human rights of marginalized social sectors. Perhaps unsurprisingly, this is occurring as Pentecostalism gains a deeper hold in those sectors and has sufficient social power to confidently protect their interests. More surprising, however, is that this change is occurring both where neoliberal economic models hold sway and where socialist governments engage in authoritarian behaviour. 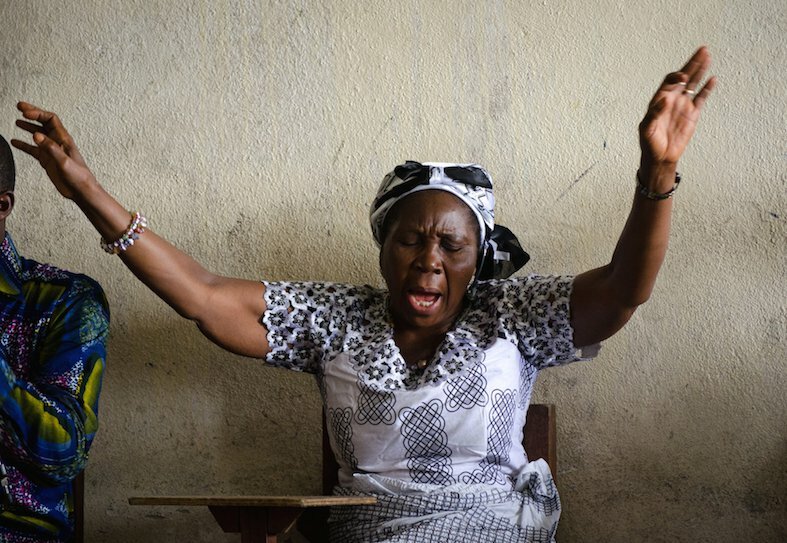 In sub-Saharan Africa, where Pentecostalism has exploded in recent decades, the movement sometimes appears irretrievably complicit in corruption that exploits poverty and creates new elites. Yet Pentecostalism can also serve as a primary mobilizing structure to free individual Africans from suppressive tribal, communal, or family structures. Meanwhile, the Charismatic Catholic movement—a kind of “pentecostalised” version of Catholicism also growing rapidly in Africa—provides a more spiritually compelling embodiment of the Catholic Church than is otherwise available. In the process, it also emphasises teaching that strongly defends a broad set of human, civil, political, and economic rights (though of course does not fully match what feminists and gay rights activists affirm). In China, Russia, and other authoritarian settings, Pentecostal churches struggle to find sufficient organizational space to play a similar role. But if these Pentecostal communities can gain some degree of organizational autonomy, the movement holds transformative potential precisely because the authoritarian regimes continue to suppress human rights and religious freedom. Even where Pentecostal claims for human rights are muted, Pentecostalism may be making a subtle positive impact. Previously cautious Catholic bishops and diocesan priests now confront authoritarian governments more directly and argue for civil and human rights in ways long articulated by more progressive religious orders. And more cautious Pentecostals draw on classical Pentecostal theology—which sees the “saved” person as a vessel of the Holy Spirit—to articulate the kind of sacredness of individuals that Amnesty International has long used to defend human rights. None of this is without ambiguities, however. For example, what about the non-saved? That is, can Pentecostalism articulate a strong theological basis for a universal standard of human rights, rather than one that so starkly divides the saved from the unsaved (whether the latter are Catholics, Muslims, Hindus, secularists, tribal spiritualists, Jews, or Buddhists)? The otherworldliness of most Pentecostal theology is also a question. Can a religious worldview focused on heavenly salvation undergird this worldly work for human rights? And how can this be reconciled with the burgeoning “prosperity gospel” movement, with its apparent theological justification of greed? Finally, does Pentecostal bible-centeredness make it impossible for Pentecostals to recognize the human rights of gay, lesbian, or transgender people? All of these questions represent real obstacles to the role of Pentecostal Christianity as a defender of universal human rights. Yet Pentecostalism is nothing if not a work in progress, and some Pentecostal leaders are successfully transcending these obstacles. For Pentecostal Christians, God’s power to save regularly breaks through established customs to offer new grace and salvation to all. Secular human rights activists may scratch their heads as to precisely what that means, but they should not let their own unfamiliarity with Pentecostal language get in the way of potentially fruitful alliances. The Catholic and Jewish experiences offer important parallels: those traditions’ own bible-centeredness at times create “us-versus-them” theologies, especially when they have felt besieged as minorities. But both traditions more typically see the line dividing good and evil running through the heart of each individual person. This interpretation allows for deep universalism in good faith, without denying the real differences that exist between religions, and between secularists and religionists. Here on openGlobalRights, scholars have argued that Islamic and Hindu moral systems share this insight. Pentecostals have shown themselves capable of the same view. In making this argument, I am fully aware of the ways religion generally has been and continues to be used to justify opposition to what we now consider universal human rights. But citing that history to ignore Pentecostalism as a potential ally is simply misguided. On those grounds, the human rights movement has no potential allies, for Marxism, secular humanism, the discourse of democracy, and even the language of human rights have all been used to suppress actual struggles for human rights. Ironically, the alternative is for human rights activists to act much like religious fundamentalists. Only fundamentalists—religious or secular—insist that they know the one truth and the right way to proceed. The best antidote to fundamentalism is self-reflexivity, an honest openness to learning. Self-reflexivity, after all, is just as crucial to a healthy human rights movement as it is to a healthy religious movement. Without it, we simply cannot grow.